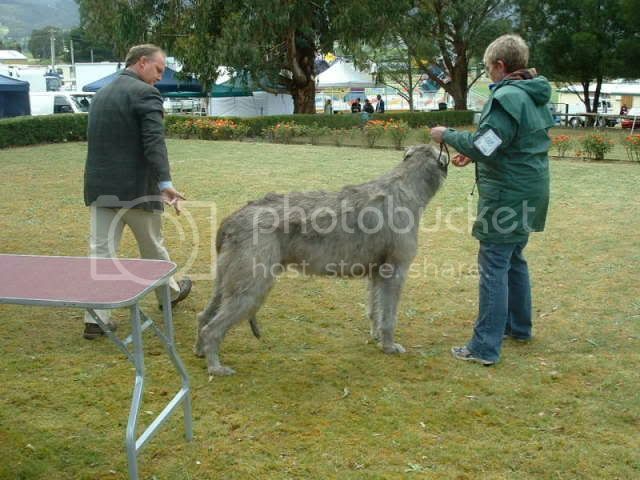 I went to the Huonville Show today. I hadn't entered my dogs as I was hoping that Bree would be heavy in whelp, but alas... 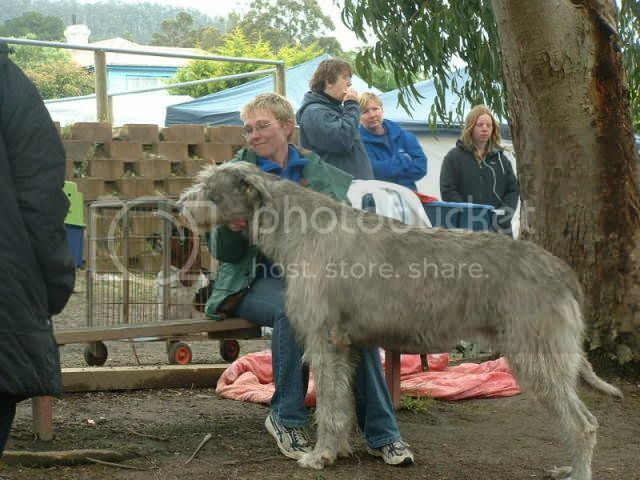 Anyway my SIL asked if I could go to the show to help mind my 2 year old nephew while her and my sister were showing. Sure I said. Gryphon was actually very well behaved so it didn't take much to keep an eye on him. They show Cavaliers. Group 4 was on after the Toys and I was approached and asked if I could show a dog as they were going to be caught in another ring. OK. 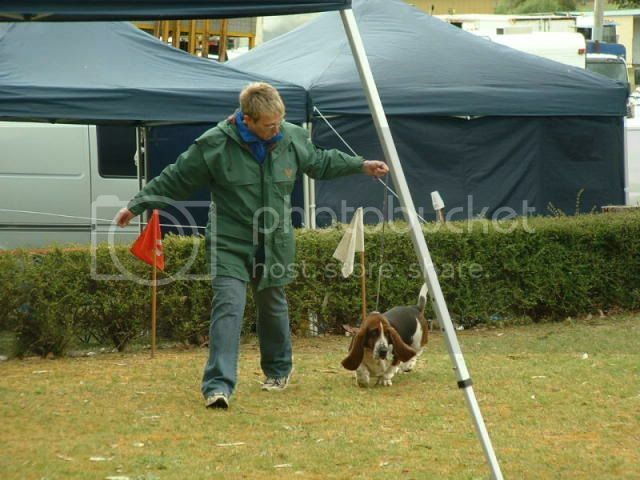 I know nothing about Bassett's and the Steward said just keep the head and the tail up. OK.
As you can tell I wasn't dressed for showing and I had to swap jackets with SIL as mine was a BOB prize. We managed to flub my way through that and then it turned out that I would have to take in another dog. This time something closer to my kind of thing.